Anyone who would like to help others lead happier lives will find valuable tools in this action kit. For more then a quater of a century, The Way to Happiness has been helping to restore trust and honesty. 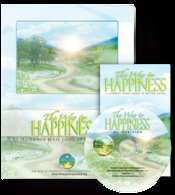 The kit includes a complimentary copy of The Way to Happiness booklet, along with a DVD containing 21 public service messages, each illustrating one of the principles in The Way to Happiness. On a second DVD, leaders from some of the world's trouble spots speak of the increased tolerance and understanding that resulted from widespread distribution of the booklet. An exact list of steps is also included on how to use The Way to Happiness to unite those in your community toward greater tolerance, understanding and compassion.